A Sydney cast-off is certain to be among the favourites for the second running of the $50,000 NSW Showcase Picnic Championships Final (1400m) at Dubbo next Sunday. This season’s Picnic Champion Series commenced at Come-by-Chance races last September and since has encompassed 31 picnic meetings. In order to qualify for the Final, horses acquire points for each picnic race meeting that they compete and the highest-ranked horses at the end of the 12 months are then eligible to nominate for the Final. Formerly prepared at Randwick then Hawkesbury, Track Flash finished on top of the points ladder following an excellent season of racing. Moree trainer Peter Sinclair welcomed the horse into his stable as a maiden performer but has now won 10 races with the son of Lonhro. The gelding scored points at six race meetings during the year finishing with a total of 38 points that included victories in the Moree, Mallawa and Wean Picnic Cups, along with a dead-heat win in the Marthaguy Picnic Cup. Track Flash then had a five-week break after Wean to target the Picnic Championships Final and finished an excellent sixth to Eljetem in the Moree Cup (TAB meeting) last Sunday, beaten just 3½ lengths. Butterfly Sky, Rusty Motorbike and Zaphod were equal second on the points table accumulating 35 points, with Diamond Charlie (34 points) and Black Fusion (29) next on the ladder. Connections of Black Fusion will be hoping to go one better than last year’s Final when runner-up to Security Code (ridden by Maddie Wright; trained by Rodney Robb) who beat Black Fusion (Toby Lake) and Kinda Tangy (Billy Owen). Owen won’t be riding in this year’s Final as he has since crossed over to become a professional jockey and is likely to be riding in other races on the program. Ricky Blewitt has been the standout rider by a 'country mile' during the picnic series, having ridden at least one winner in each of the last nine picnic programs: Cobar (double), Wean (double), Duck Creek, Talmoi, Bligh (treble), Mallawa (double), Moree (four winners), Marthaguy and Boorowa. 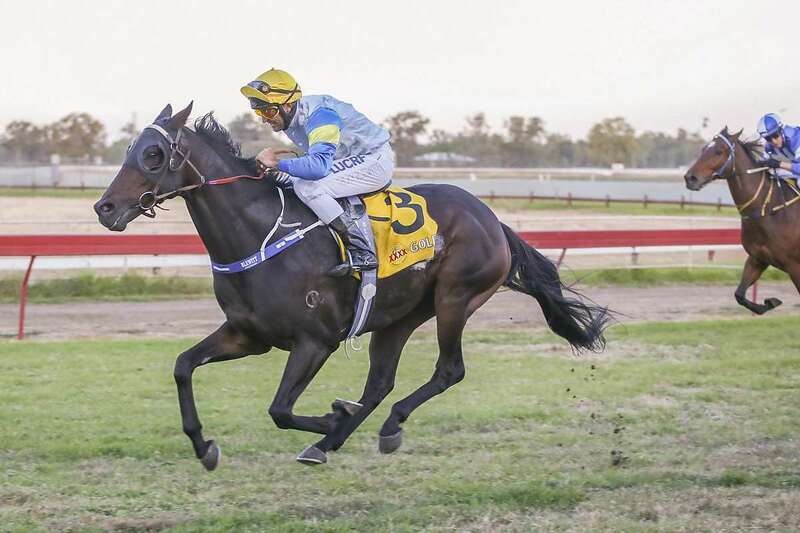 Feature event of the day on the huge nine-race card is the $60,000 Dubbo Cup (1600m), won in 2017 by Brazen (Clayton Gallagher) for trainer Brett Cavanough. Main support race is the $40,000 XXXX Gold Open Flying and backed up by six other races each carrying the Showcase minimum prizemoney of $30,000. Dubbo Turf Club will be providing live entertainment and a courtesy bus after the last race with the Whitney’s Jewellers and Landmark Harcourts Fashions on the Field Series a major drawcard. A Calcutta will be held from 6pm at the Western Star Hotel the night prior to raceday.